By getting married abroad, you could have the setting to your big day as one of the most romantic places in the world, providing a stunning backdrop to your big day and can really add an extra touch of luxury to the wedding. Perhaps the destination chosen is where you got engaged, took your first holiday or just somewhere you’ve always wanted to go. So, we wanted to help you to make your dream wedding a reality by giving you some tips you might not have considered. With some destinations, there’s requirements and restrictions you might not have thought of; in Italy for instance, if you’re a British National, you need to obtain a Certificate no Impediment which to obtain you must give notice of the marriage to the local registry office – this will need to be done six months before your wedding date. Whilst you’re waiting for the Certificate to be authorised, you also need to make a statutory declaration before a solicitor or notary public in the UK which is required by the Italian authorities – this is an additional fee to be aware of. Once these two things have been done, you need to send them to the FCO Legalisation Office for them to be legalised with a Hague Apostille and once this is done, the Certificate of no Impediment needs translating – which needs to be done in Italy and sworn before the Italian courts of an Italian Justice of the Peace. This is just a basic overview of the process, but the complexities that lie behind the process is why more couples choose to have their official wedding in a court house in the UK before hosting a blessing abroad in front of their family and friends as their ”official” wedding. Knowing that you’re already married in the eyes of the law saves the problem of ceremonies abroad which with language barriers and foreign laws is particularly difficult – failure to comply with laws can mean they will refuse to allow the marriage to go ahead. We think weddings and we head straight to bridal magazines and Pinterest. The dress, location, wedding rings are all things that are easy to get swept up with and carried away planning the flowers but, there’s admin that needs to be done first! If you are going to a registry office to formalise proceedings, you need to book this for before you get on the plane to your destination wedding; they get booked up fast so you need to book well in advance. If you’re going to get married legally abroad and can do so in your chosen country, then research exactly what you need to do and if there’s any paperwork you need to fill out – in the UK Church of England weddings for example, you need to get the Banns read three Sunday’s in advance of the wedding by a minister. 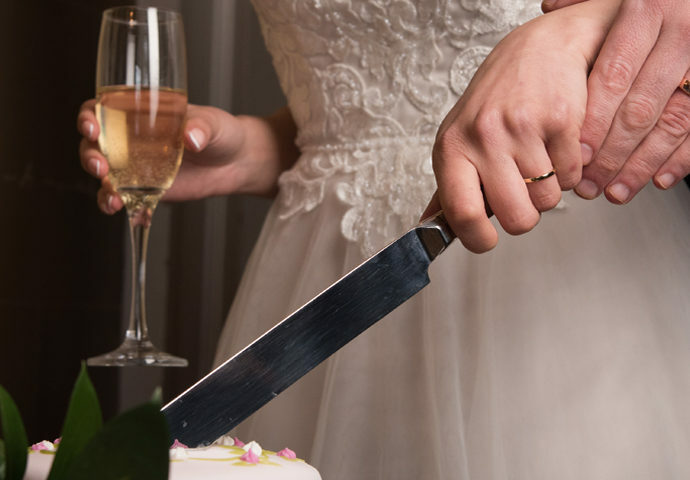 If you fail to abide to rules such as this, there could be a danger to your dream wedding going ahead – or at least be an added stress nearer the day that you don’t want when you’re meant to be excitedly packing your case! How will everything for the wedding get there? With weight limits on suitcases to go abroad, you might see lots of details at bridal fairs that aren’t possible to take with you. With priority things such as the wedding dress, suits, bridesmaid dresses etc. the details of the wedding which will bring it all together might fall by the way side. To solve this; plan ahead. Can you get things shipped over to the venue early and have them store it? Or, if you have a wedding planner in the destination country, they could perhaps source the same items over there to avoid the issue of transportation. Our last point leads us onto this; a wedding planner is essential for many brides, especially if that wedding is abroad. If you’re sourcing things in the destination country such as flowers, the cake, catering, the band – the list goes on, there is sometimes the necessity to hand the pressure over to a professional. With friends and family calling around the clock to double and triple check flight times, seating arrangements and accommodation, your time is precious; it also allows you to stop worrying you’ve forgotten something and enjoy the excited build up to the day with your partner. With all weddings held abroad, there’s the consideration for the guest list. With your guests budgets/ annual leave from work, there might be quite a few knock backs when it comes to RSVPs; which need to be expected and understood. The main aspect of the day is that you and your beloved are getting married in one of the most romantic ways possible; above that, any guests that are there to support and join in on your magical day are a bonus. It’s also worth mentioning that getting married abroad, particularly in hot countries will alter how you dress and the makeup chosen especially. A heavy rigid dress on the beach may be hard to move in and not in keeping with the surrounding; opt for flowing material which will keep you cool and allow you to look wonderfully harmonious with your venue. Make sure makeup stays put in warm climates with oil free skincare, a good primer and a long wearing foundation that won’t reflect in photos when your photographer might be using the flash – and don’t forget the waterproof mascara! 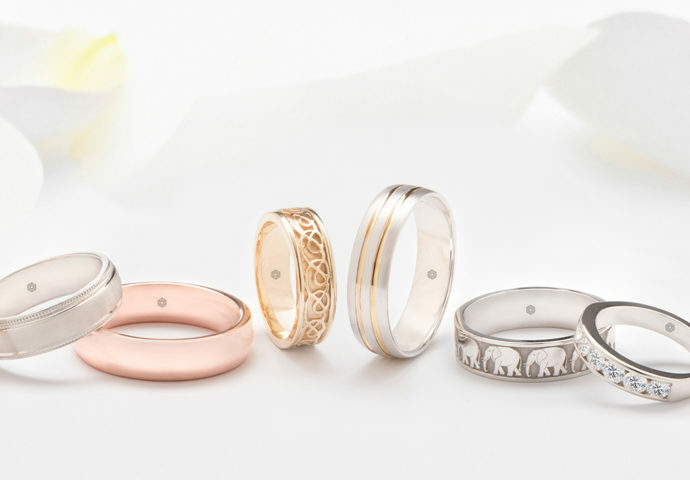 Let your ”something new” be the sparkly new ring on your finger. 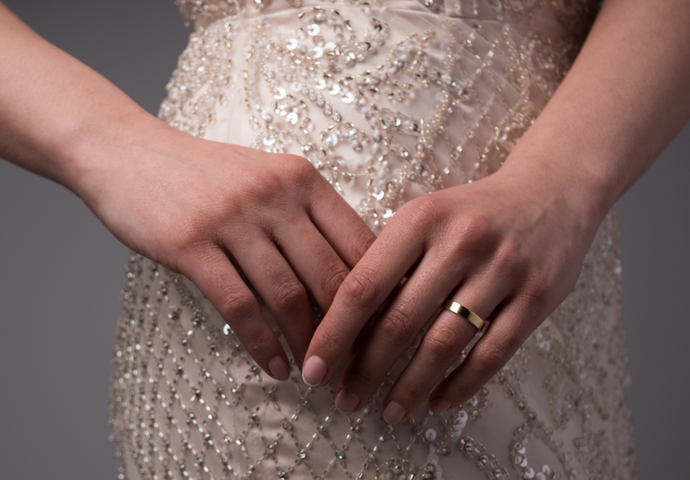 For the most important piece of jewellery you will ever purchase, make sure you’ve had a look through our entire collection; from dazzling diamond bands to bespoke designs on a plain band, there’s so many options and a dream ring for every bride and groom. There’s a lot to think about before any wedding, but don’t forget to enjoy the overwhelming excitement that comes with it. Planning a wedding whilst you feel cocooned in a bubble of love with your partner, you’ll look back on this chapter and be glad you took your time planning the details and enjoying the process. Nuptials abroad are one of the romantic ways to get married providing the ultimate backdrop and really allowing you to relax in a fabulous environment.